Back in October, we told you that Mojang was working to port Minecraft to Windows Phone. 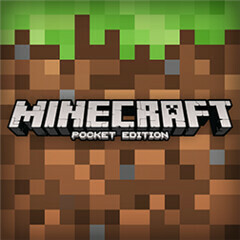 Since then, Microsoft completed the acquisition of Mojang (in a $2.5 billion deal), and, as of today, Minecraft Pocket Edition is finally available to Windows Phone users - about three years after being released on Android and iOS. Just like on Android and iOS, Minecraft for Windows Phone is not cheap, costing $6.99. The good news is that you can play it on any WP handset - including entry-level ones with only 512 MB of RAM. As you’d expect, Minecraft Pocket Edition for Windows Phone features infinite worlds, Creative and Survival modes, and multiplayer over Wi-Fi. It looks like there’s nothing different between the Windows Phone version of the game and the ones for Android and iOS. You can download the game on your WP handset from Windows Phone Store via the source link below. In case there’s someone out there who hasn’t heard of it, Minecraft is one o the best-selling video games ever, with more than 50 million copies being sold to date on all platforms (including PC and Xbox). Terraria is on WP also. With Xbox Live support. Nice profile pic. Just picked up a e-Golf. On a related matter, I have never played this game - not too familiar with it. Microsoft should at least subsidized thd fees, they own this awesome game. I own in in my Xbox at least it should be free on Windows Phone too! Considering the PC version is like $25 and isn't that far ahead of the mobile version... yeah, not that expensive.